As the guardian of three indoor cats, I couldn’t possibly let the window open! You might say that a window screen might be enough. However, I have heard horror stories of how some rambunctious cats falling out of windows. These cats happen to see a bird fly by, pounced right on through the window screen as well. That is why I wholeheartedly recommend air purifiers as an alternative way to clean the air inside your home while keeping your cats safe! Learn more about the benefits of an air purifier and how it impacts your health. Air purifiers can help freshen the air quality of your home. It also helps with asthma and allergies! Dimension	 7 x 10.2 x 21.5 in. 8.1 x 10.8 x 16.4 in. 14.5 x 7.2 x 18.5 in. 24 x 22.8 x 9.8 in. Weight	 7 lbs. 5.74 lbs. 15.8 lbs. 23.9 lbs. Coverage	 167 sq. ft.	 160 sq. ft.	 322 sq. ft.	 700 sq. ft. Whether you choose to buy a small, compact air purifier or a large machine capable of purifying the entire home, there are some things you have to keep in mind. Know that each air purifier is unique and incorporates its own special features. Many air purifiers have annual operating costs for the filter replacement and the electricity you use to power the device. To be honest, however, you’ll probably be spending more money on the filters. HEPA Filters help to trap unwanted pollutants. Make sure that whatever air purifier you buy, it uses High-Efficiency Particulate Air (HEPA) filters that help to trap harmful particles such as pollen, pet dander, dust mites, and tobacco smoke. Just know that you will have to pay for the air purifier then pay extra for the filters for continued use. Depending on your usage habits, carbon filters need to be replaced every three months and main filters annually. Most filters will generally cost you from $10 to $100. Another thing to consider is how powerful the air purifier is and the coverage it provides. Smaller, compact air purifiers will not be able to cover larger rooms. Be mindful of the size of your room and the type of air purifier you are looking for. You will most likely need a larger and more expensive model if you want something to cover your living room and kitchen. The last thing I’d like you to consider is the noise level of the air purifier. Chances are, you will be leaving this on during the night while you go to sleep. For the sake of efficiency and quietness, I recommend that you pick a larger air purifier and use it on a lower setting than to buy a cheaper, smaller one and crank it up to the highest setting. Remember that air purifiers are the best for filtering out harmful substances from the air inside your home, such as allergens, tobacco, and other airborne particles. This will help reduce triggers for asthma attacks as well as other breathing issues. If you’re looking for a general, all-purpose air purifier, then look no further! The GermGuardian AC4825 is a 22-inch tall device that is geared towards cleaning tobacco smoke, dust, and pollen from the indoor air. This air purifier is especially useful for cat owners as the HEPA filter captures 99.97% of dust, allergens, pet dander, mold spores, and plant pollen. It will most certainly help during the shedding seasons where your cat becomes a hair factory! While I recommend you don’t smoke in the house where your pets could inhale the dangerous fumes, this air purifier also works towards removing common odors from pets, smoking, cooking, and wildfire smoke. The GermGuardian AC4825 is energy star certified and covers up to 167 square feet. This air purifier will be most effective in bedrooms or private rooms and is capable of circulating the room air over 4x per hour. There is also a filter replacement indicator and only one single filter needs to be replaced every six to eight months, depending on how you use this product. As I read some of the reviews on Amazon, most people seemed to be absolutely thrilled with this air purifier! The GermGuardian AC4825 seems to work very effectively at removing odors and keeping the indoor air germ free! Some individuals have even bought multiple units and have placed them in every room to increase levels of effectiveness. Some people have even reported that their asthma and breathing issues have alleviated due to the air purifier. I also have to note that some reviewers have mentioned that using this device resulted in an electrical shortage of the unit. This produces an electrical burning smell that also ruins the circuitry inside. However, only a small percentage of people seem to be facing this problem and the consensus seems to be positive. >>If you’re interested in learning more about the GermGuardian AC4825, be sure to click here to see it on Amazon! The next air purifier on our list is the Hamilton Beach 04383 Air Purifier and is very cost effective for its capabilities. This air purifier is the perfect choice for those who are on a budget or maybe you want to slowly dabble in the air purification world. This budget-friendly air purifier uses HEPA filters that will effectively trap airborne particles such as dust, smoke, pollen, and other allergens. This air purifier is also capable of trapping pet dander! The filter could also be vacuumed clean, making it more cost effective and easy to clean! The Hamilton Beach 04383 Air Purifier is ultra quiet and can cover up to 160 square feet; this means that this air purifier could be used is most household rooms! Its compact size allows you to use it horizontally and vertically as well. 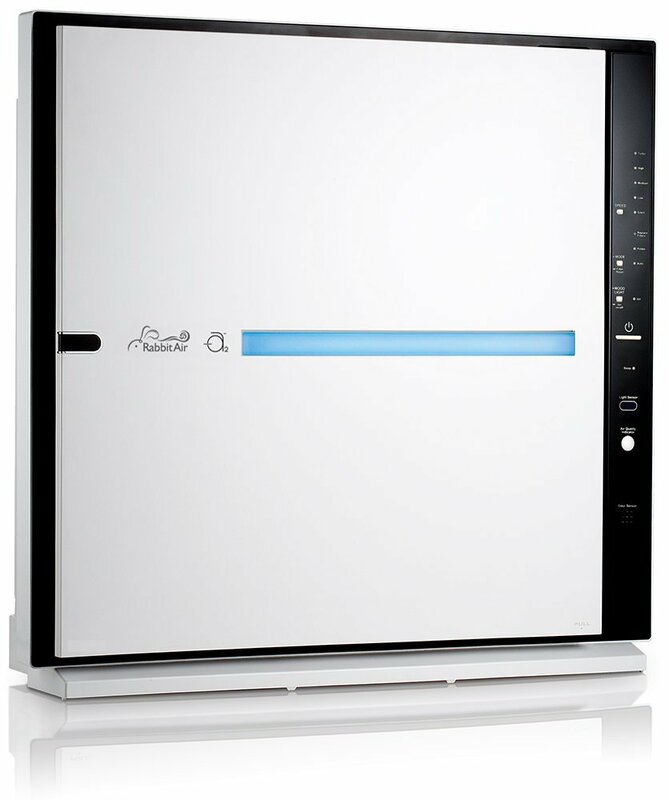 The general consensus of the Hamilton Beach 04383 Air Purifier is very positive and it gets the job done. While it might not be the most powerful or most effective air purifier, the Hamilton Beach 04383 Air Purifier is still a solid choice for anyone looking for a budget air purifier. With its ease of use and being able to be cleaned with just a vacuum alone, this air purifier is one of the best economical filter systems for home use. Many pet owners seem to really enjoy this air purifier’s effects as well! >>If you’re interested in learning more about the Hamilton Beach 04383 Air Purifier, be sure to click here to see it on Amazon! After looking through many different air purifiers on Amazon, I concluded that the LEVOIT LV-PUR131 Air Purifier would be one of the best mid-range air purifiers on the market. By now, you might have noticed that all of the air purifiers that I recommend already incorporate a HEPA filter. HEPA filters are the most effective type of filter that is capable of removing 99.97% of dust, pollen, smoke, odor, mold spores, and pet dander. Just as a reminder, even if you choose to buy another air purifier that is not on my list, be sure that HEPA filters are used. As with most other air purifiers, the LEVOIT LV-PUR131 Air Purifier is really good for your stuffy nose, asthma, breathing problems, as well as improving the air quality of your home. What’s cool about this air purifier is that it has a smart auto mode that indiciates the surround air quality and automatically suggests fan speeds to purify your air faster. There is also a sleep mode that sets the purifier to its lowest setting to help filter the air while producing the lowest amount of noise. This way, you can sleep soundly while being able to breathe the freshest of air! With a high price tag means that the LEVOIT LV-PUR131 Air Purifier is capable of covering up to 322 square feet. This easily doubles the coverage of the previous two air purifiers and gives you more flexibility with its use. This means that you can use this unit in larger rooms and to over more air space. This air purifier is energy star certified and the filter should be replaced every 6 months or so, depending on your usage. The product reviews found on Amazon seems to be very positive as this device effectively cleans the air. It’s easy to set up and use and people have been able to notice a difference in the quality of air in their homes. Apparently, there is also excellent customer service as well… just in case you are dissatisfied with your air purifier for any reason. However, there have been reports of the filter only lasting 2 months. Digging deeper, I found that the “change filter” indicator is based on running time and not on the condition of the filter. This means that the filter might be in excellent condition and the light might still come on. Just reset and use as normal! 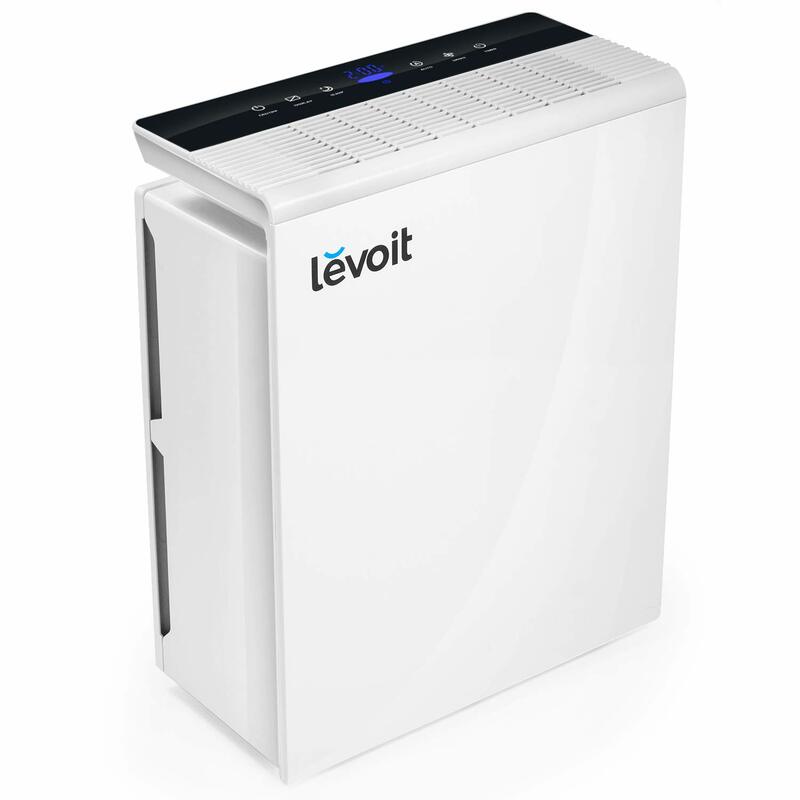 >>If you’re interested in learning more about the LEVOIT LV-PUR131 Air Purifier, be sure to click here to see it on Amazon! We are now onto the last and most high tech air purifier on our list, the Rabbit Air MinusA2 Ultra Quiet HEPA Air Purifier. Let me tell you now that this air purifier is a beast! It easily covers up to 700 square feet! This means that this device is powerful for rooms of all sizes! This air purifier is definitely for use in larger rooms or for places where you think needs that extra support with air filtration. Of course, this device uses HEPA filters that will filter up to 99.97% of dust, pollen, smoke, odor, mold spores, and pet dander. The most prominent feature of this air purifier is the customizable panel. This panel features image by Claude Monet, Vincent Van Gogh, Katsushika Hokusai, and original designs by the Rabbit Air creative team themselves. We believe that you shouldn’t have to sacrifice style for comfort. Some of the key features are that the Rabbit Air MinusA2 Ultra Quiet HEPA Air Purifier is adaptable and can be mounted on walls. Incorporate a smart light sensor that automatically transitions the unit to sleep mode in a dark room and to be more active during the day time. This air purifier is capable of cleaning an 815 square foot room twice in one hour and can do so at ultra quiet noise levels. Energy star certified and economical, this air purifier is the real deal for those who can afford it. The reviews on Amazon indicate that the Rabbit Air MinusA2 Ultra Quiet HEPA Air Purifier is a well-built machine inside and out. 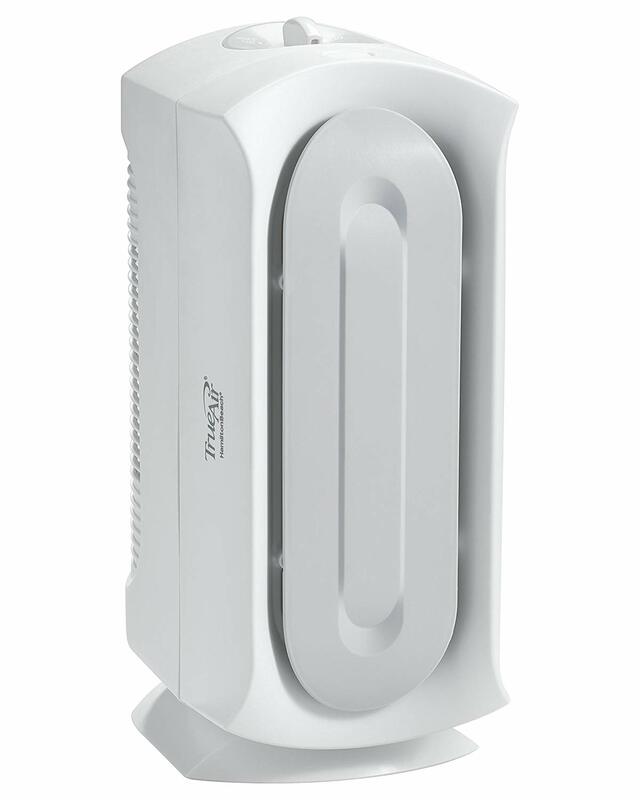 It’s very stylish and effective and incorporate high tier machinery that allows you to leave this air purifier on 24/7. >>If you’re interested in learning more about the Rabbit Air MinusA2 Ultra Quiet HEPA Air Purifier, be sure to click here to see it on Amazon! If you own a cat, you should own an air purifier. Not only will it help to keep the air inside your home clean, but it will help with any allergies, sinus, or breathing problems you may have! As long as an air purifier incorporate a HEPA filter, this will remove the pet dander from the air and will aid in reducing allergy symptoms. Dust mites, mold spores, pollen, and pet dander in the air inside your home can cause problems if your family has allergies or asthma. Using HEPA filters can trap these pollutants and may help bring allergy relief. HEPA stands for high-efficiency particulate air. Air purifiers also come in all price range and with all sorts of features! Be sure that you read up on the reviews and find one that perfectly suits your lifestyle and home. As always, I wish you and your feling companions all the best! Be safe! Continue Reading about Why Do Cats Like Boxes And Bags? Why Do Cats Need Whiskers? Continue Reading about Why Do Cats Need Whiskers? Why Do Kittens Die Suddenly? Continue Reading about Why Do Kittens Die Suddenly? Continue Reading about Is My Cat Sleeping Too Much?